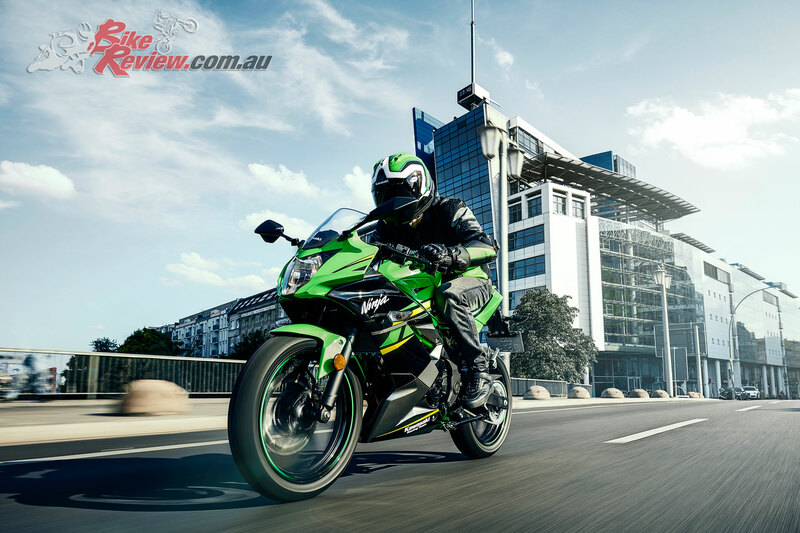 Two 125cc machines to further enhance the Kawasaki line-up designed to entice new riders to the benefits of motorcycling have been announced, with a Ninja and Z offering breaking cover in Europe, where they are expected to have a strong reception. 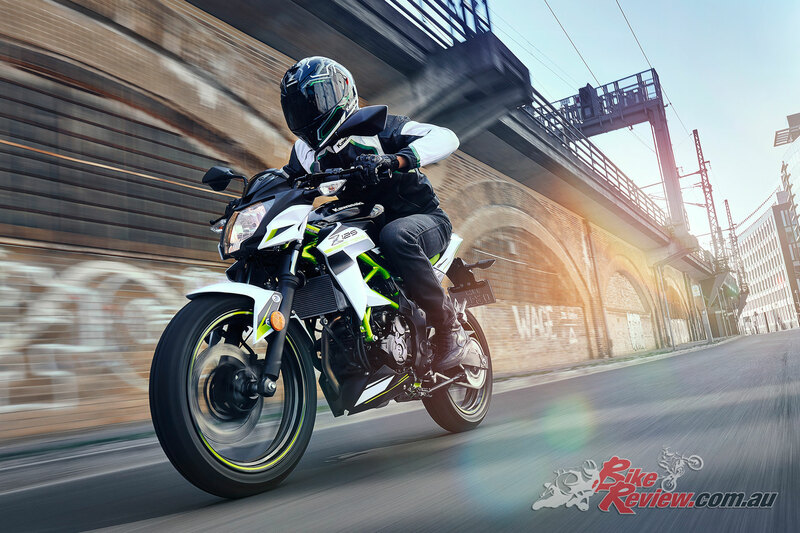 It remains to be seen whether these models will be available in Australia, where Honda’s CB125F has been a consistent top seller, thanks to offering an almost unbeatable value entry point to the sport. 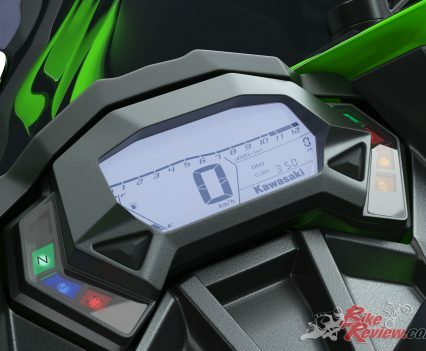 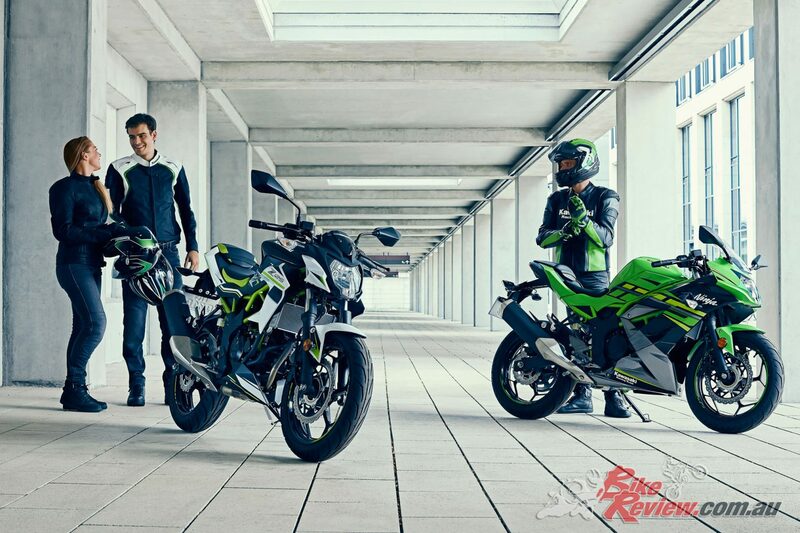 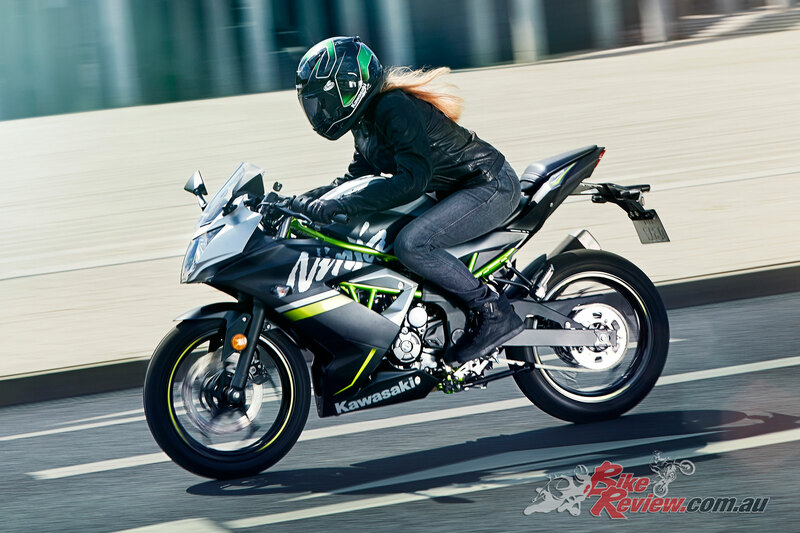 Extensive research conducted by Kawasaki’s across Europe showed that design and styling were the top priority with potential owners (both male and female) followed closely by the image and reliability of the brand. 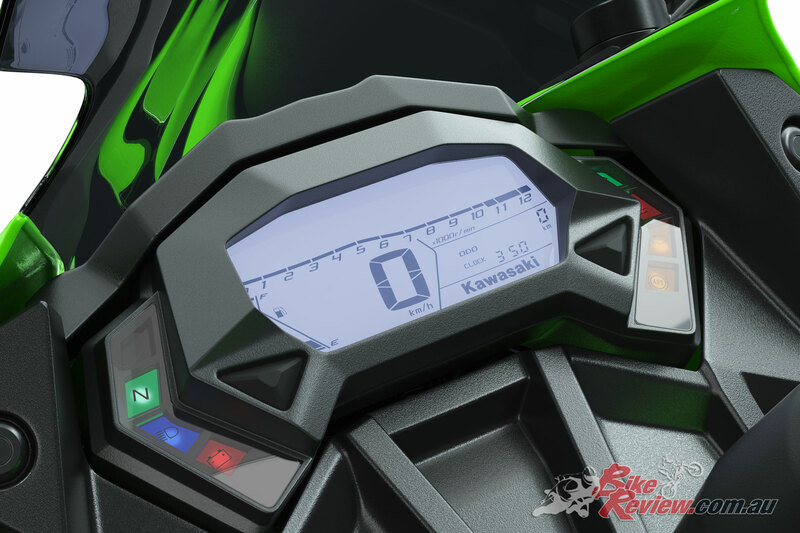 Both new 125cc machines have styling inspired by Kawasaki models in iconic brand families leading, it is hoped, to a “ladder of opportunity” as riders migrate up the capacity scale as their experience and licence develops. 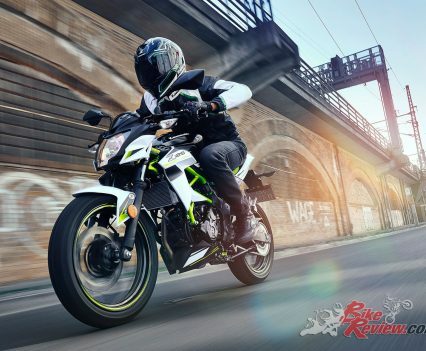 Equipped with a single-cylinder, water-cooled engine rated at a healthy peak of 11kw and offering a maximum of 11.7Nm of torque, both the Z125 and Ninja 125 deliver strong mid and high-range urge with a typical Kawasaki high revving top end. 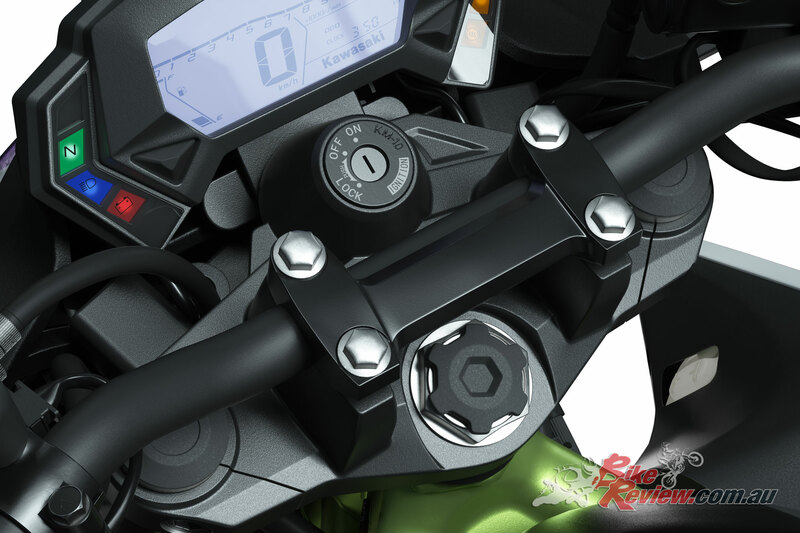 Both machines also feature sleek trellis type frames providing a slim, compact package that is easy to handle. 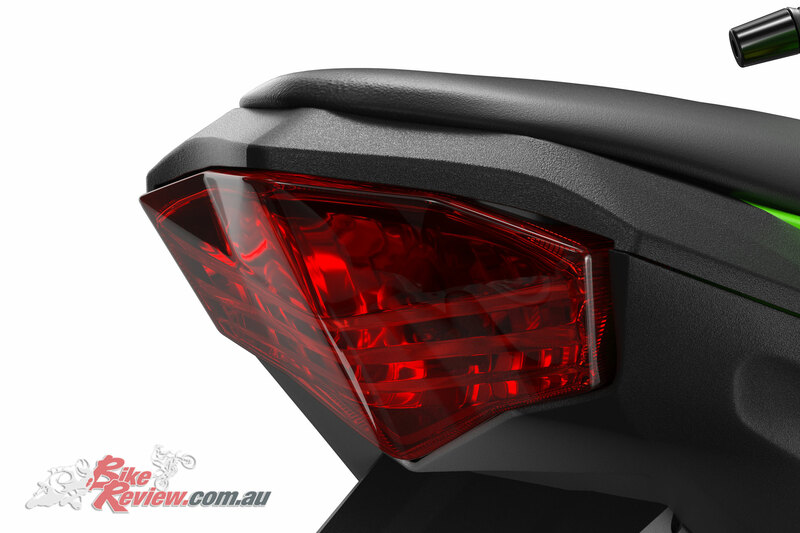 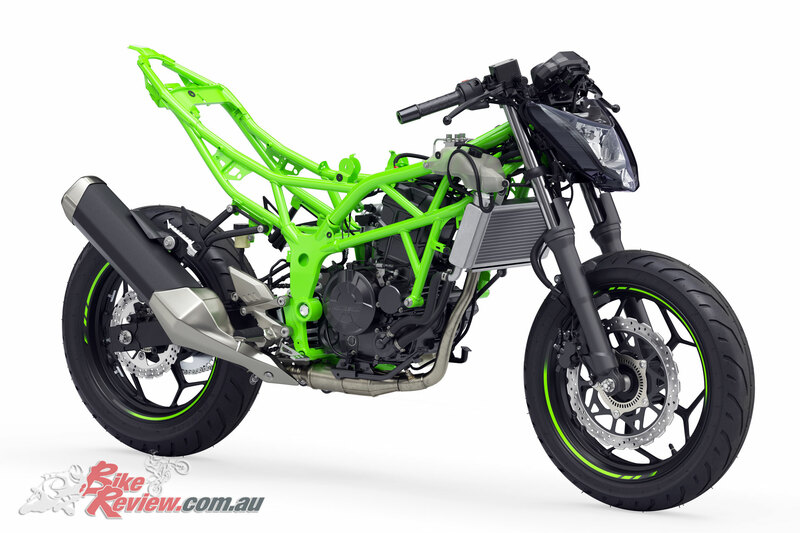 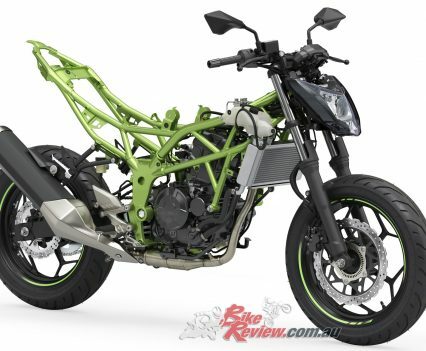 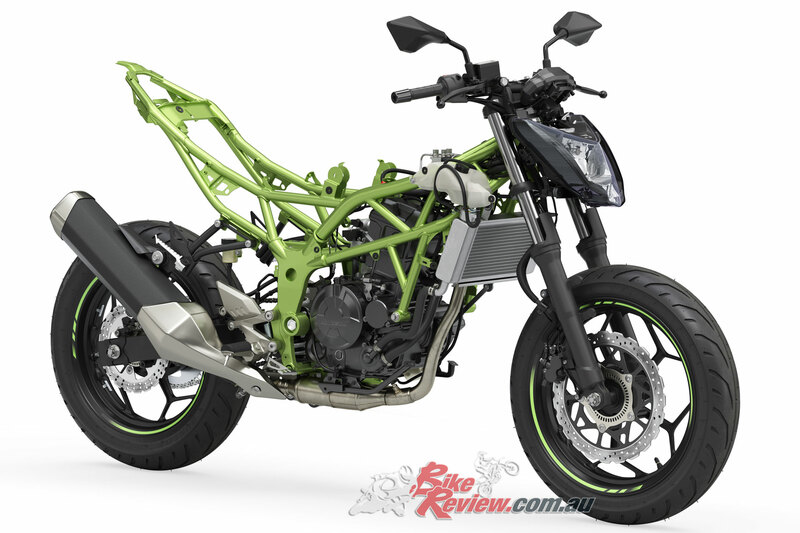 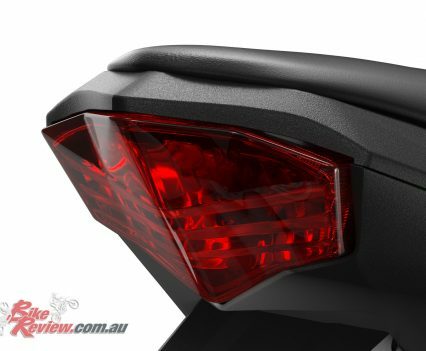 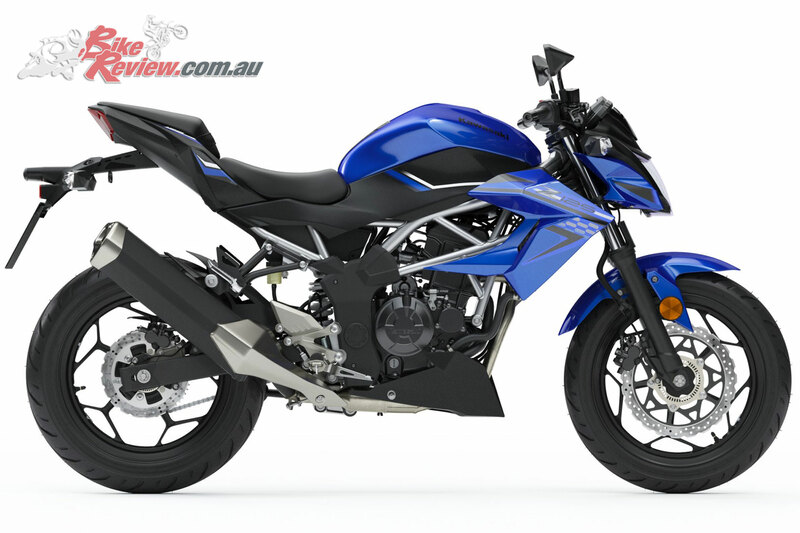 The Z125 has the uncompromising naked looks that the Z brand is so famous for. 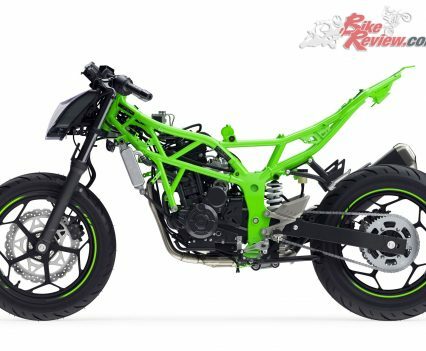 With its full-grown size, low seat height and the 146kg curb mass; the youngest sibling of the Z family will represent a great entry point to the enduringly popular naked segment. 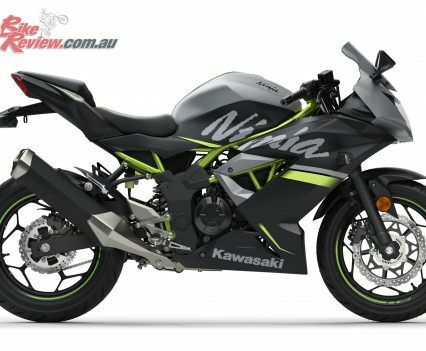 Ninja style is clearly visible in the new Ninja 125 with a silhouette and graphic treatment that owes much to Jonathan Rea’s three-time WorldSBK winning Ninja ZX-10RR. 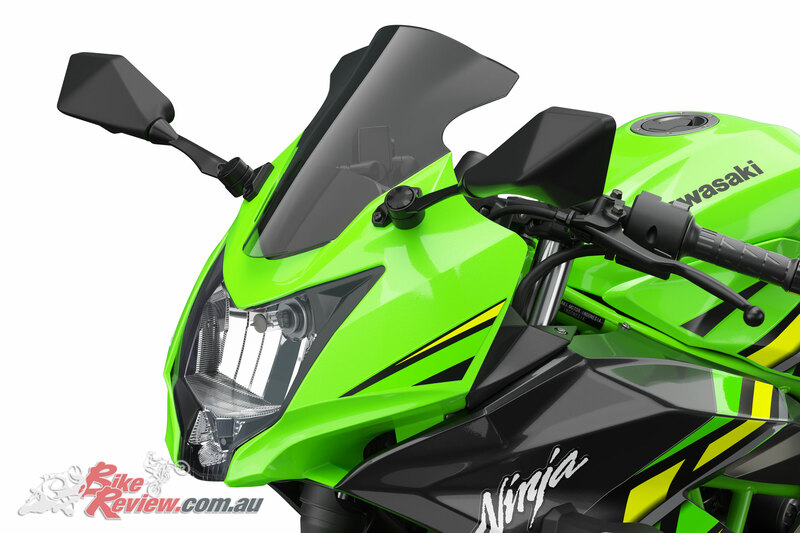 With the big bike look and feel, the 125cc machine fits well in the Ninja family. 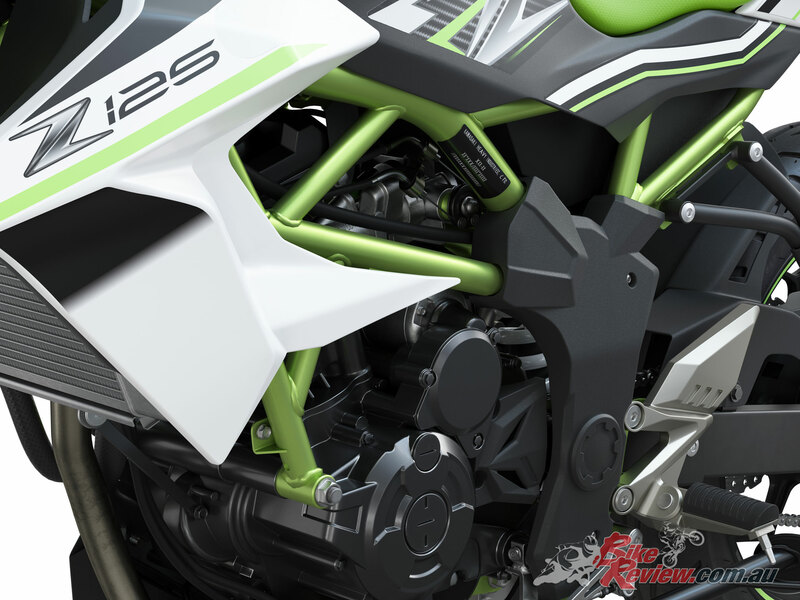 Like the Z125, the Ninja 125’s willing engine is wrapped in a tubular trellis frame matched to a box section swinging arm. 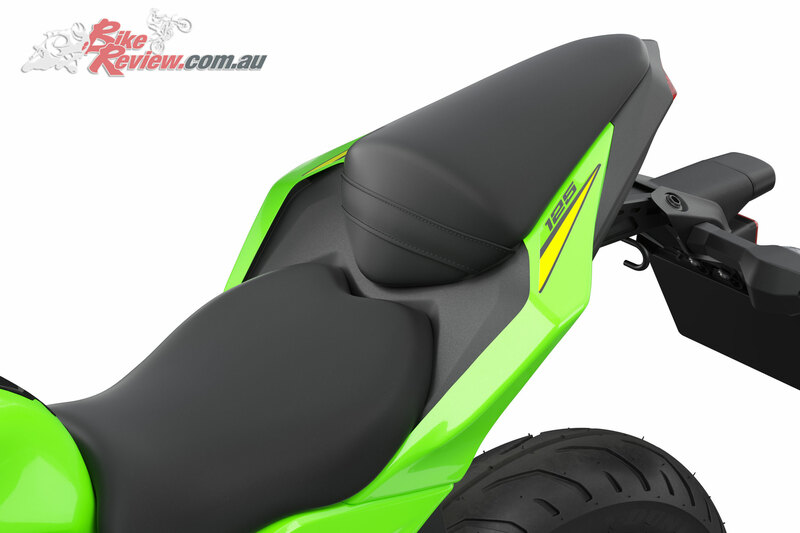 Top that off with the low seat height and 148kg ensure the young Ninja package is complete and ready to take on those sporty adventures ahead. 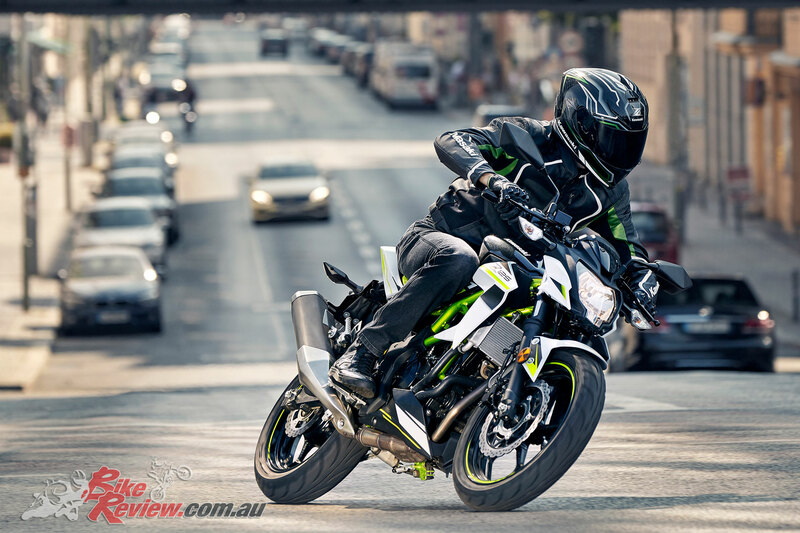 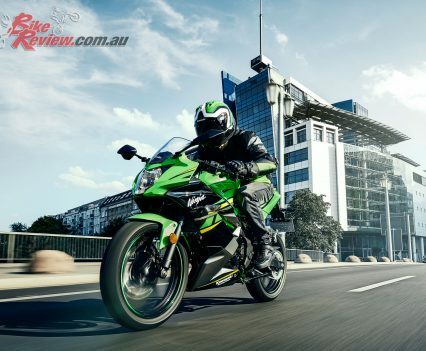 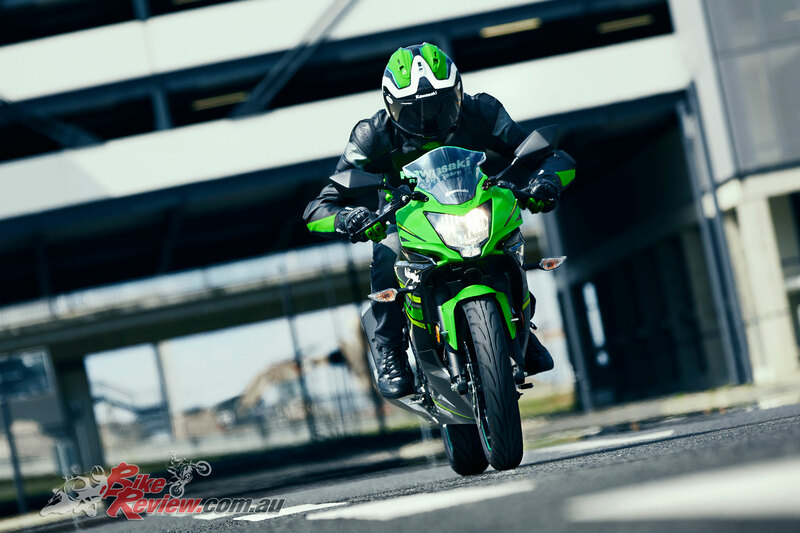 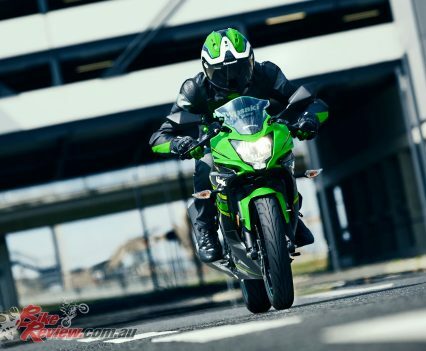 Displacing 125cc, the new Ninja 125 and Z125 engines deliver the maximum allowable 11kW (15 PS) for an A1 licence compliant machine, and offer a top speed of approximately 110 km/h. 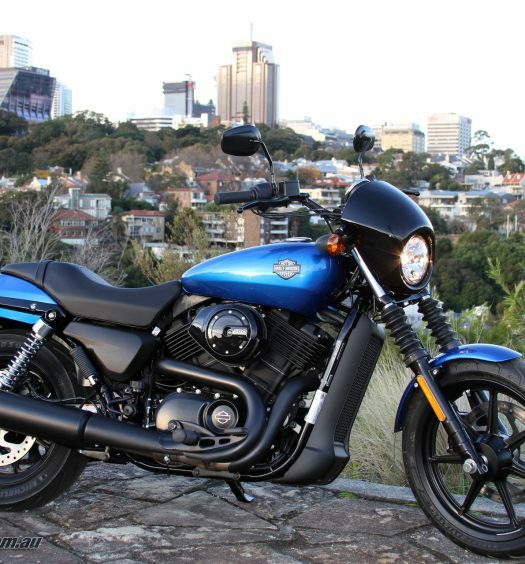 Power feeling is focused on the range below 100 km/h – ideal for getting around town and short excursions to the countryside. 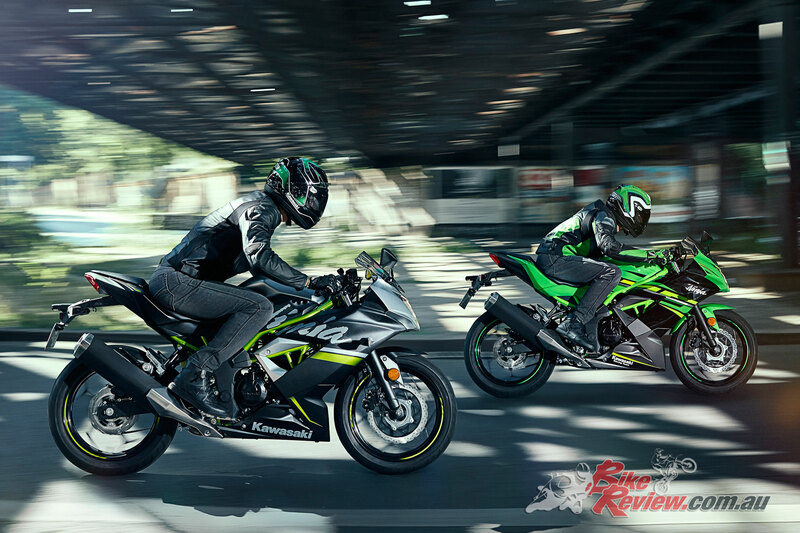 Smooth power delivery contributes to the Ninja 125 and Z125’s 125cc feel-good engine performance. 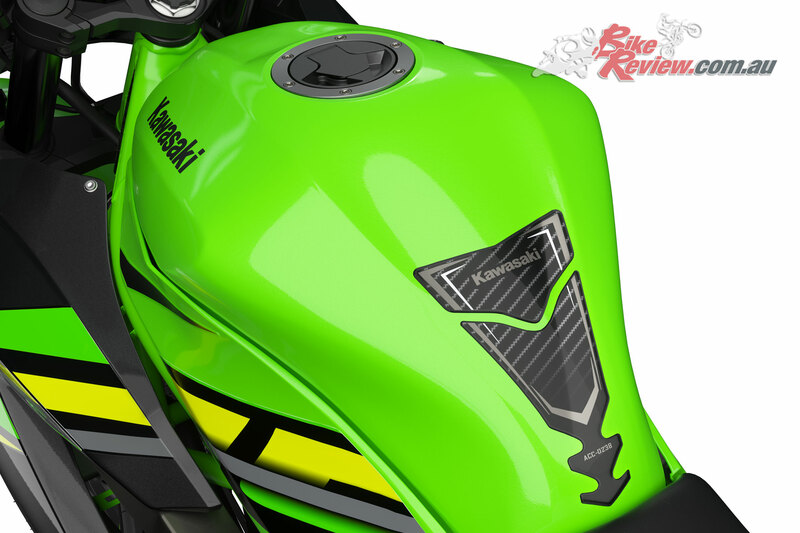 A typical Kawasaki engine, it delivers good “punch” at high rpm continuing to pull right to the rev limiter. 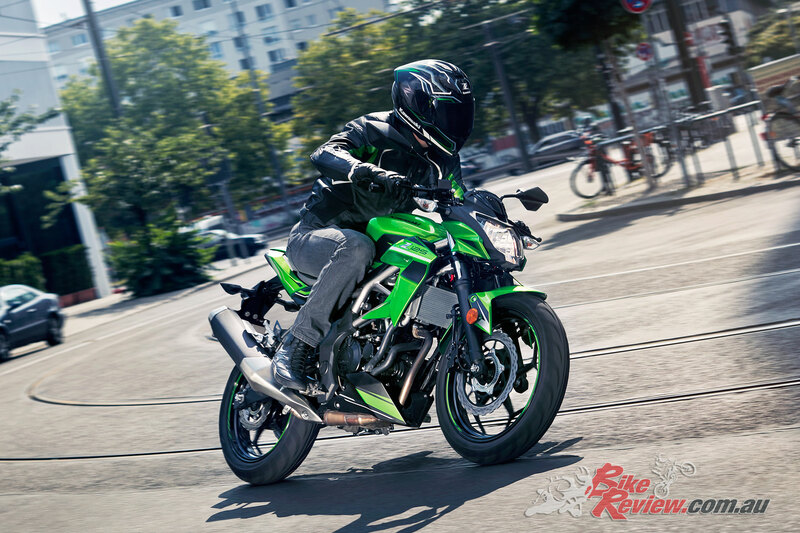 A smooth-shifting six-speed transmission complements the sporty street performance, offering a gear for every situation. 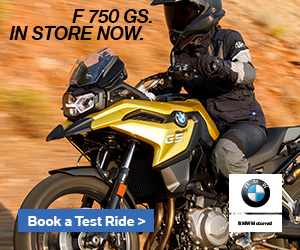 Electric starter and fuel injection ensure hassle-free starting at the push of a button. 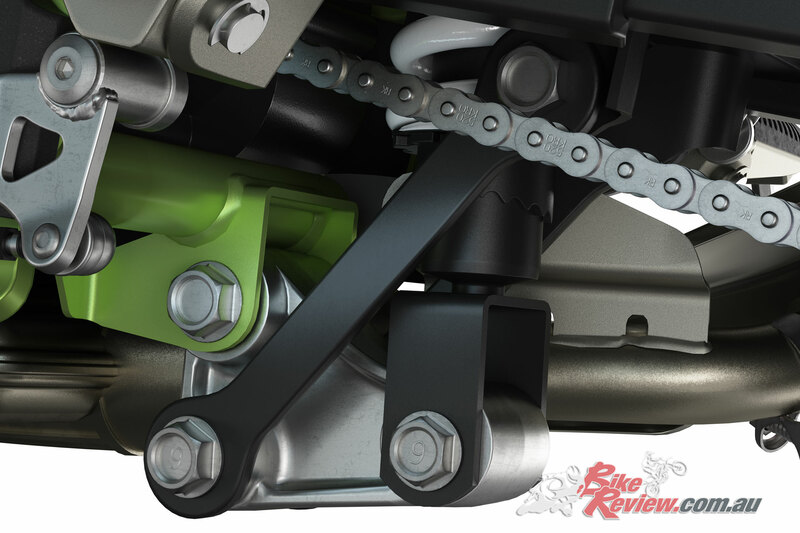 The trellis frame enables a slim, compact package that is easy to manage, and makes it easy to reach the ground. 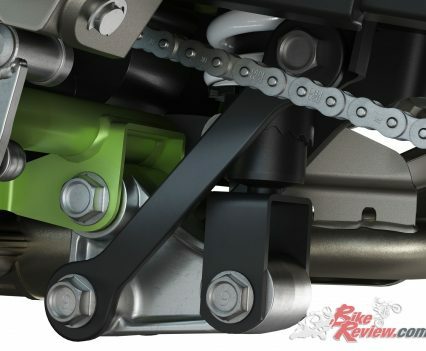 37mm telescopic fork contributes to both light, nimble handling as well as a composed riding character. 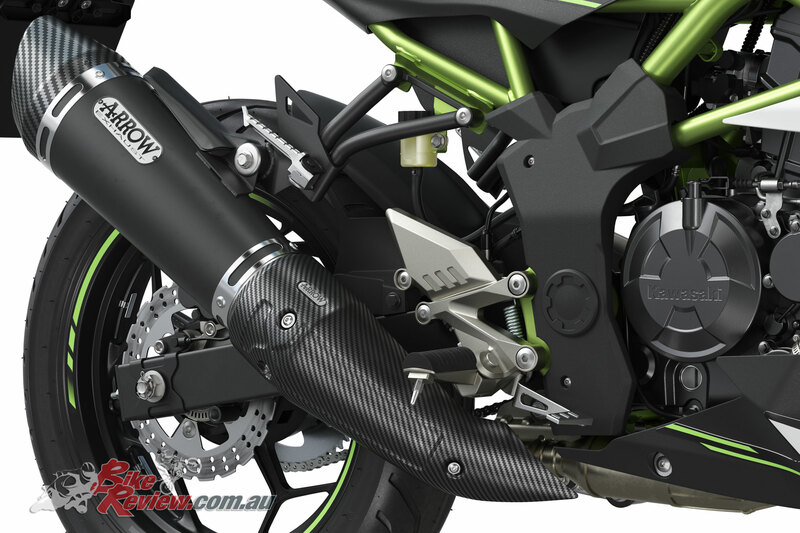 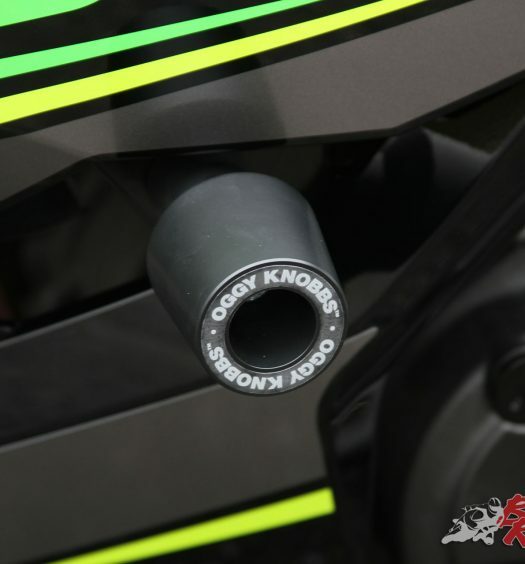 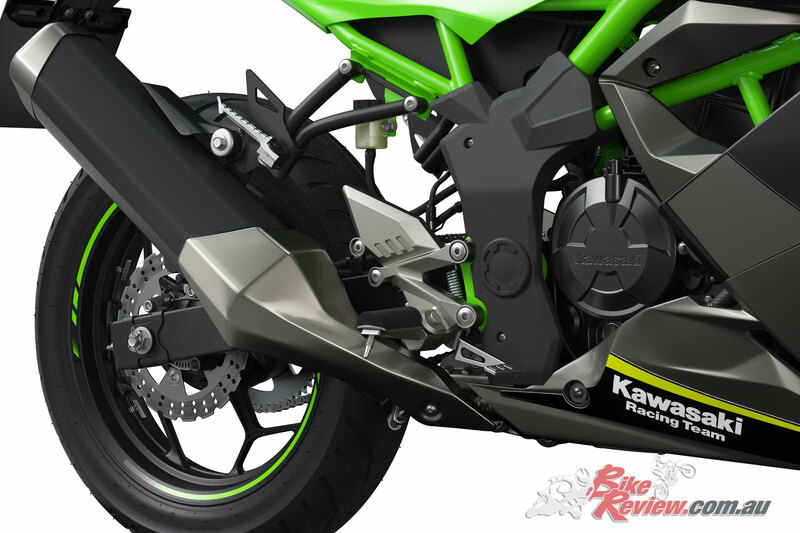 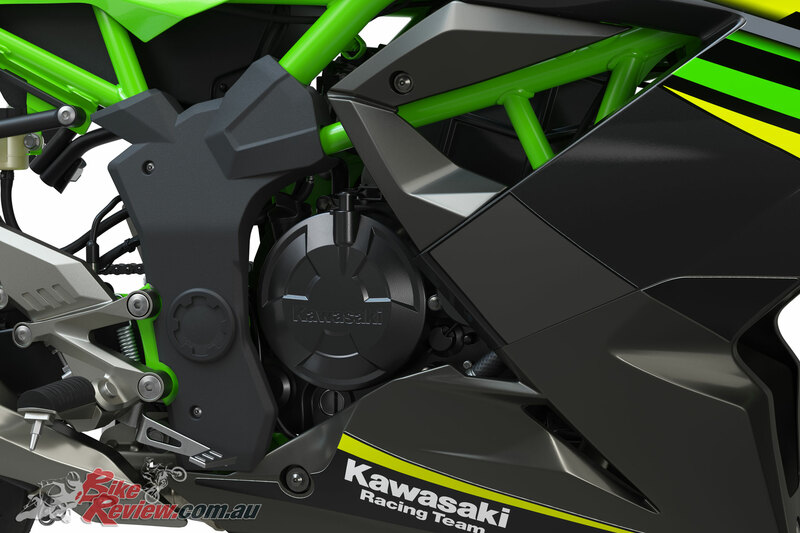 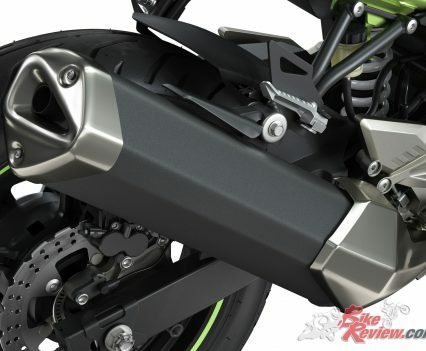 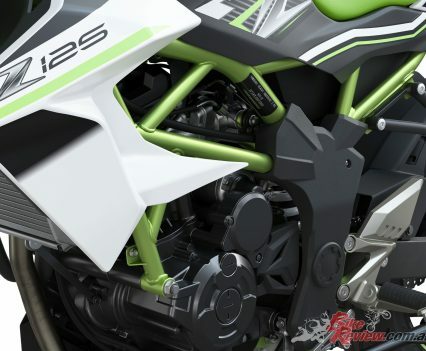 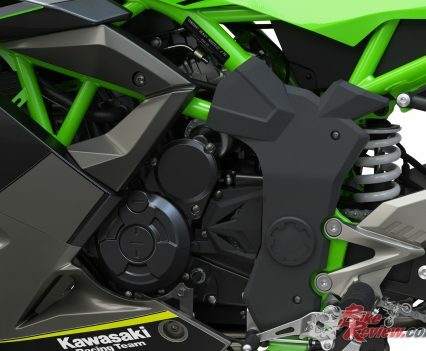 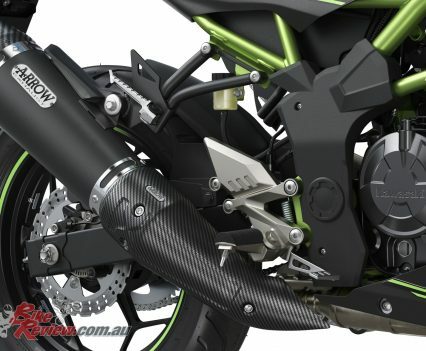 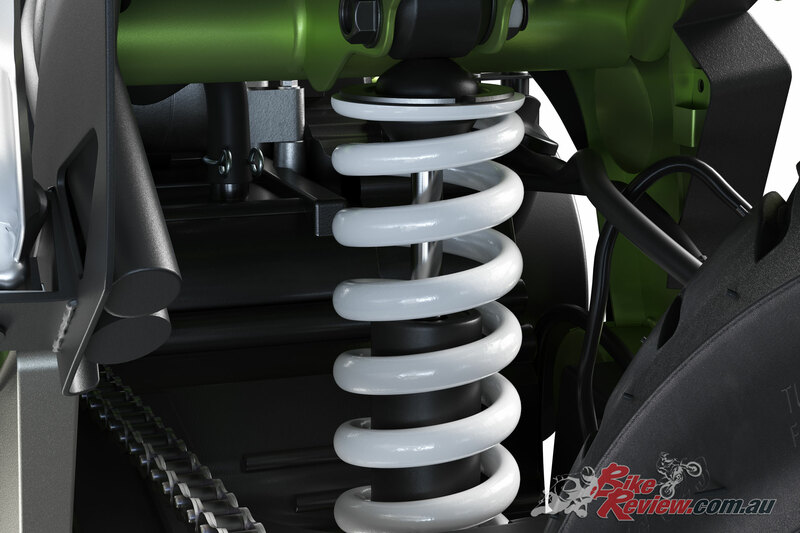 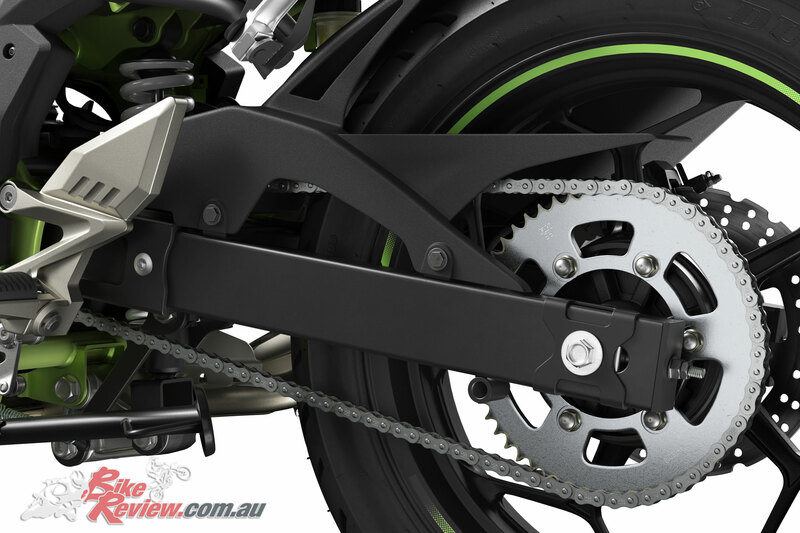 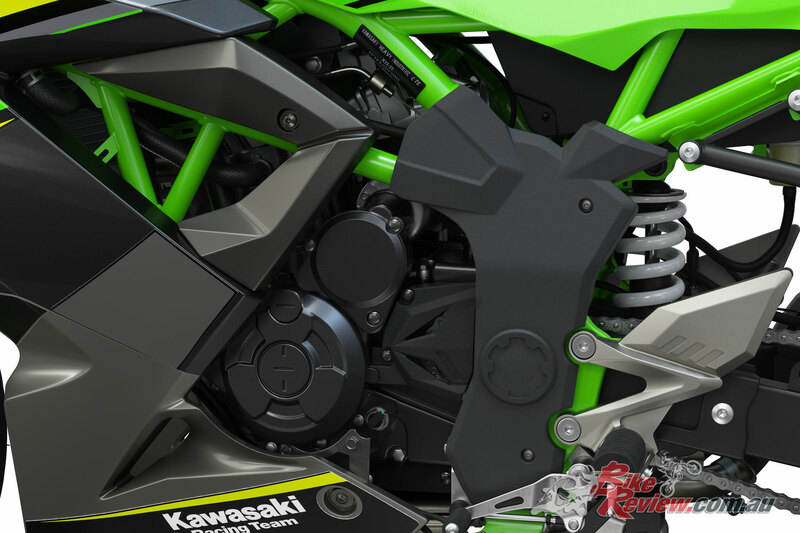 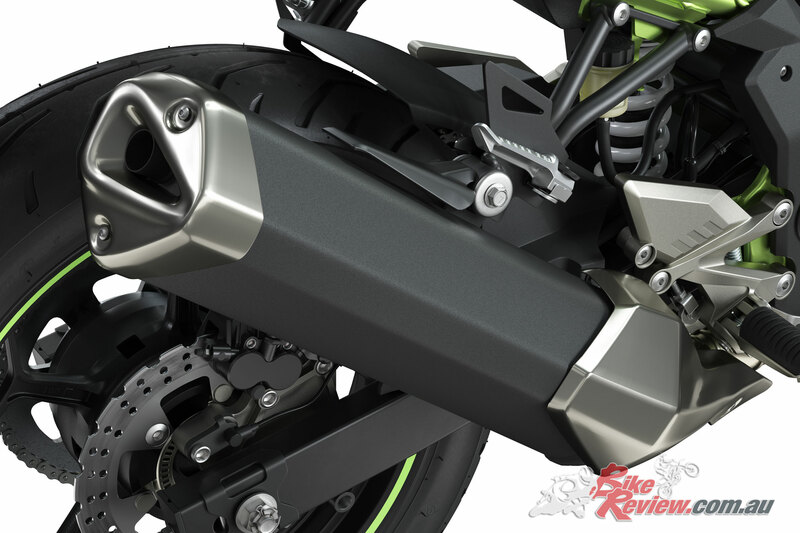 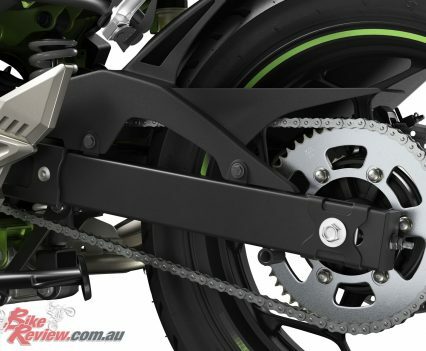 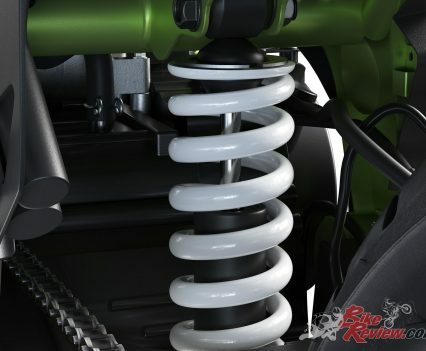 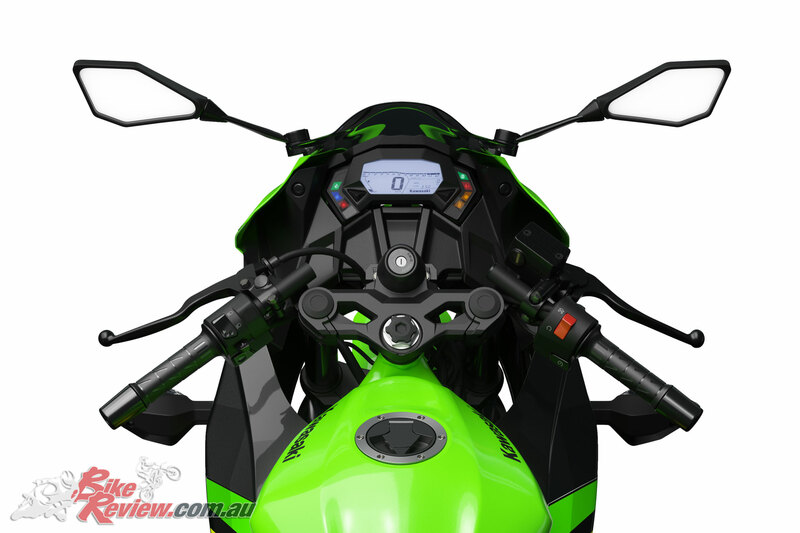 Kawasaki’s linkage-equipped Uni Trak rear suspension also delivers a smooth ride over a wide range of road conditions. 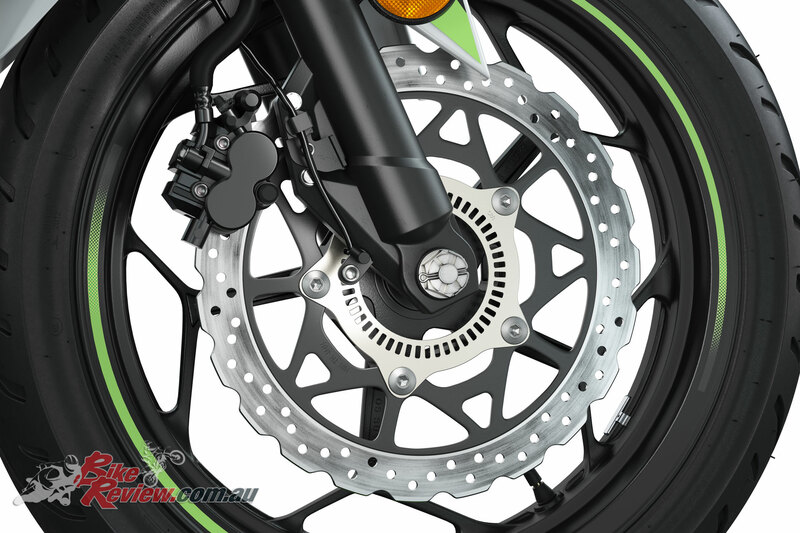 Sporty 10-spoke 17” wheels are fitted with slim tyres contributing to light, nimble handling. 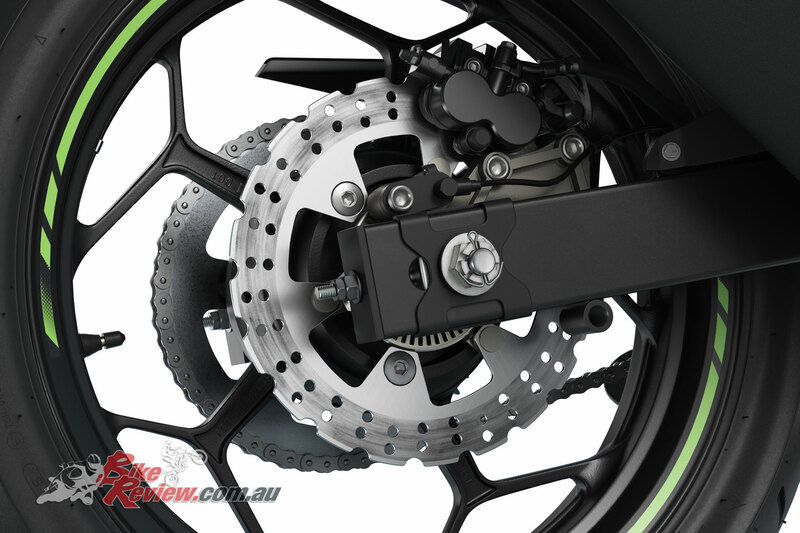 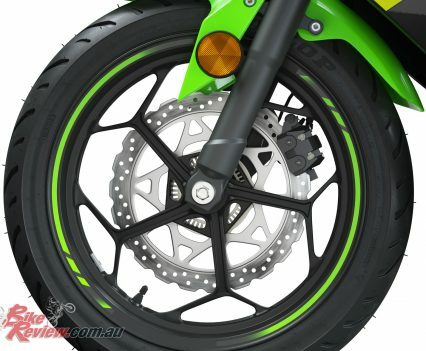 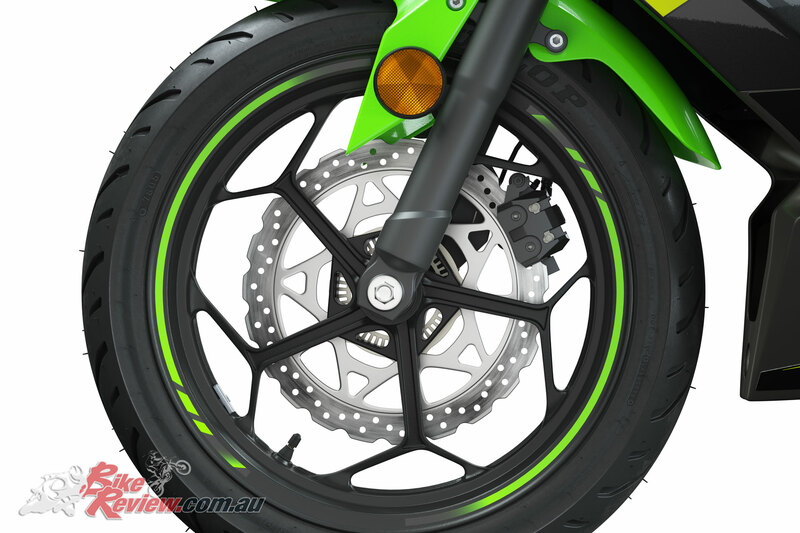 The high-spec brake system was designed especially for motorcycles and features a very compact ABS unit. 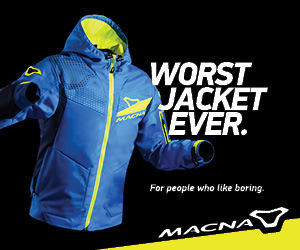 Independent activation maximises sporty control. 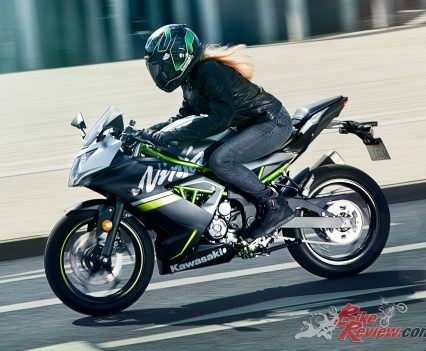 The Z125 offers the same light, nimble handling character of the Ninja 125, but a more upright riding position and wider handlebar put the rider in the ideal position for active control, facilitating dynamic, sporty riding. 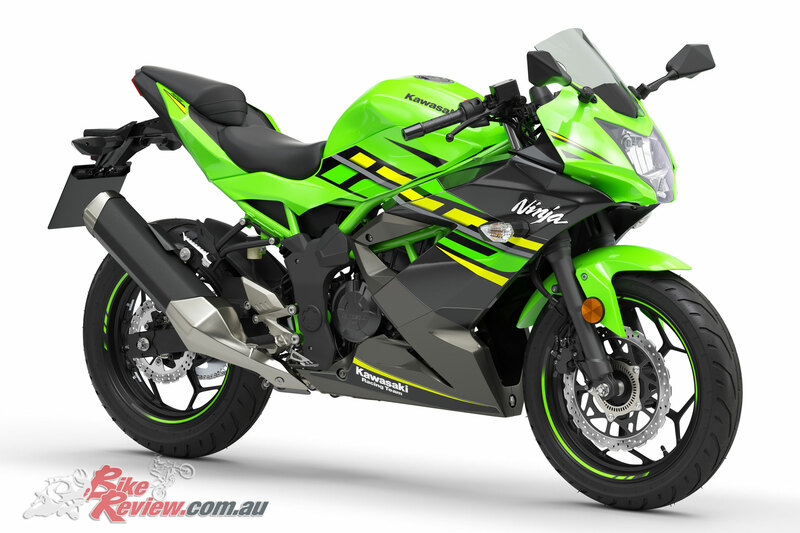 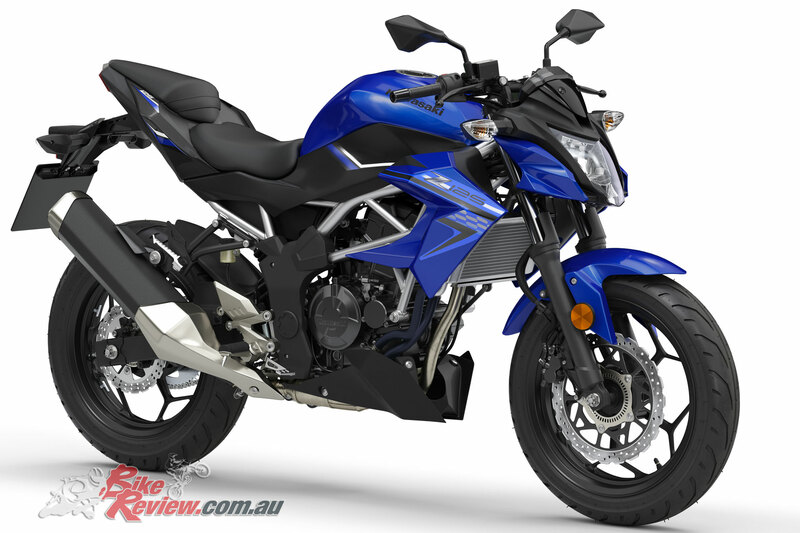 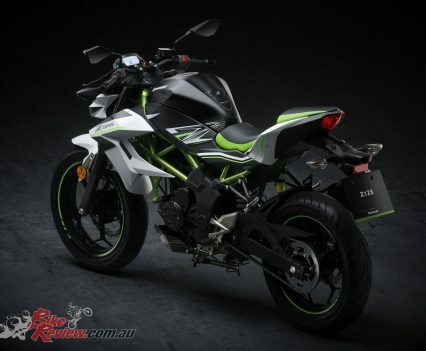 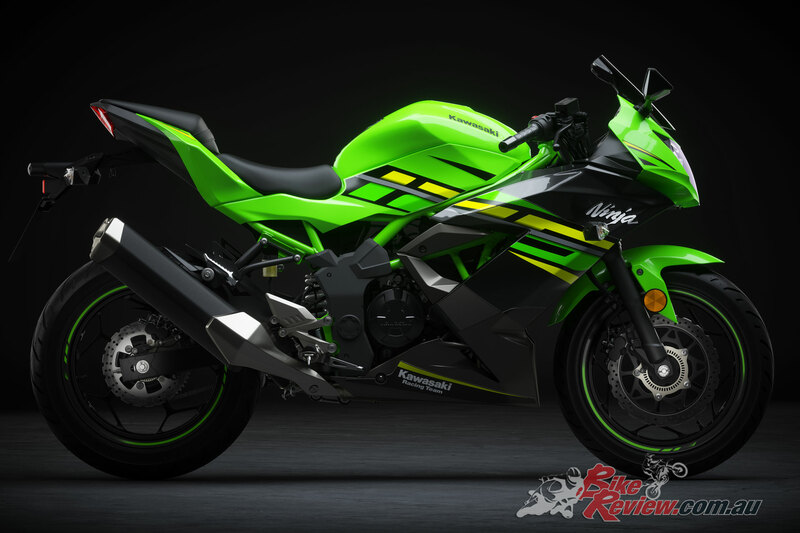 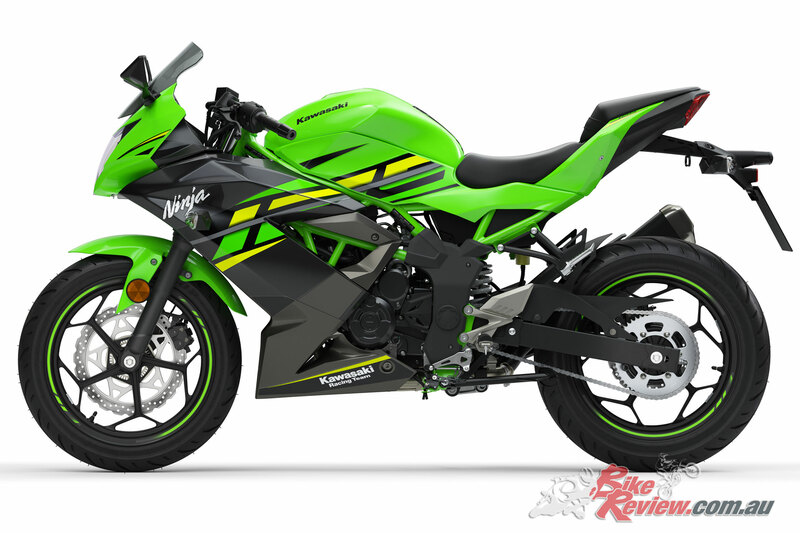 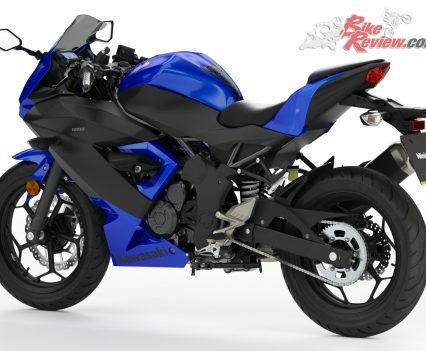 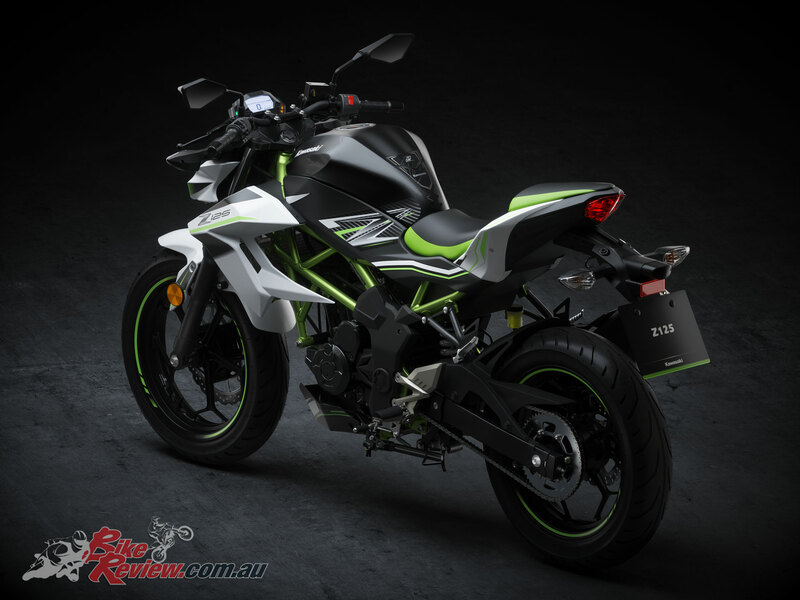 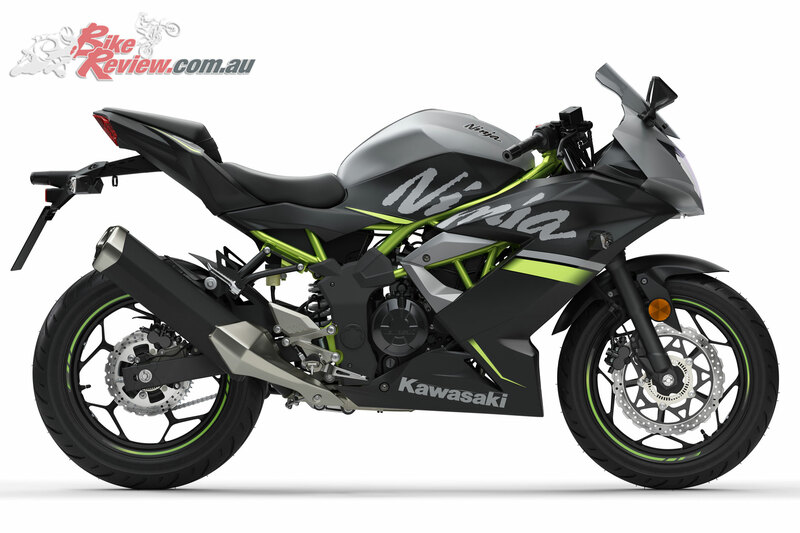 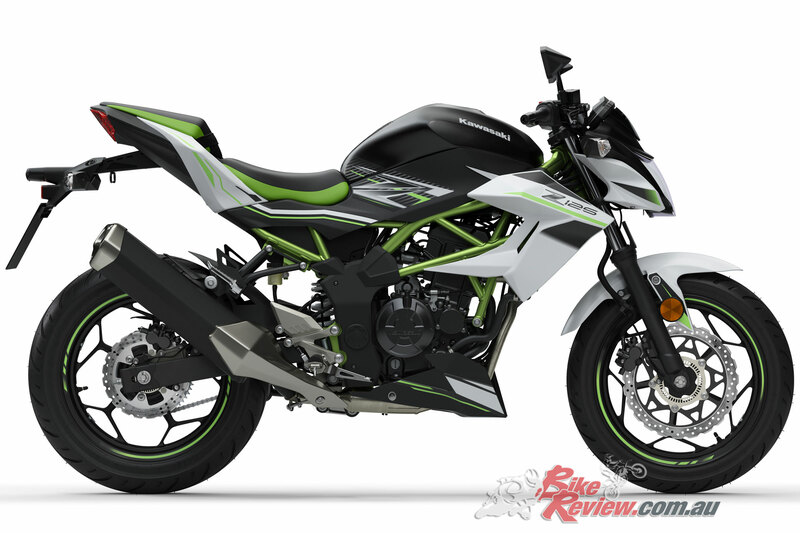 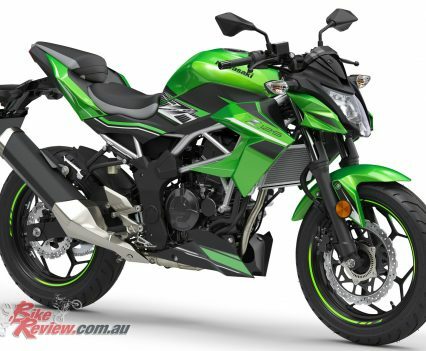 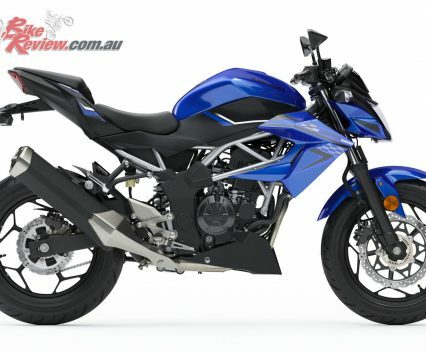 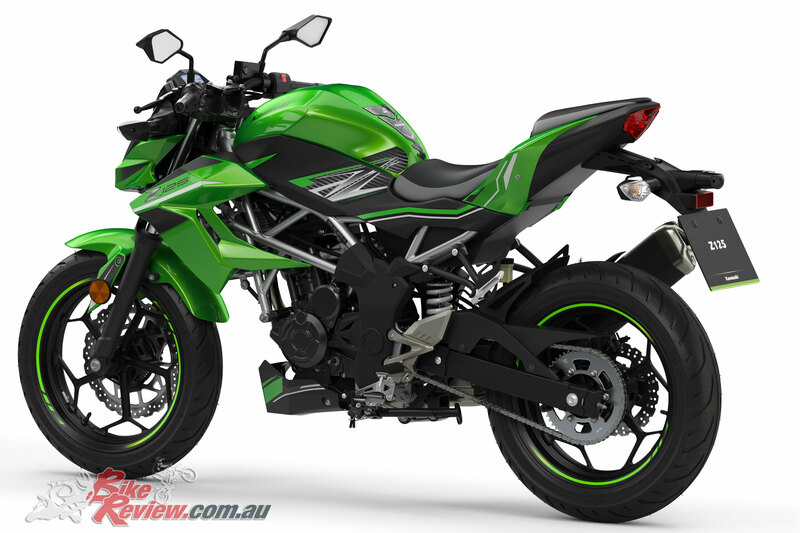 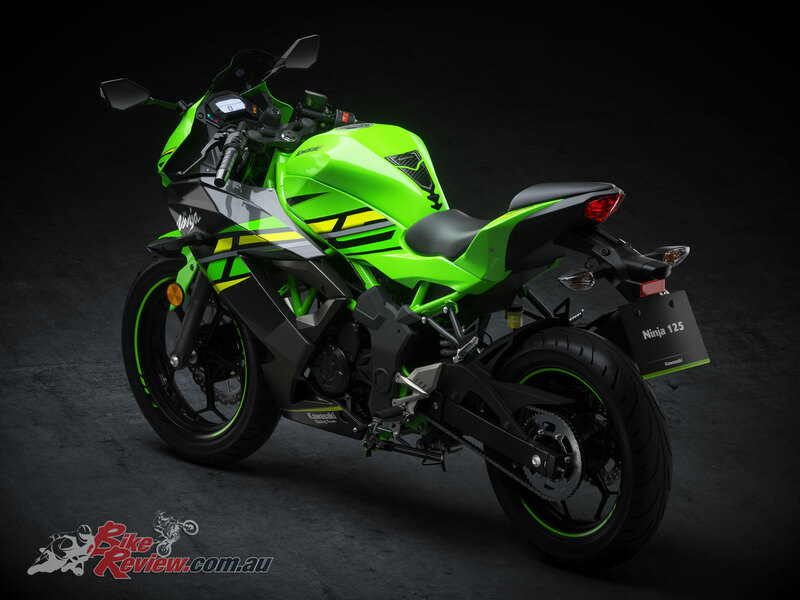 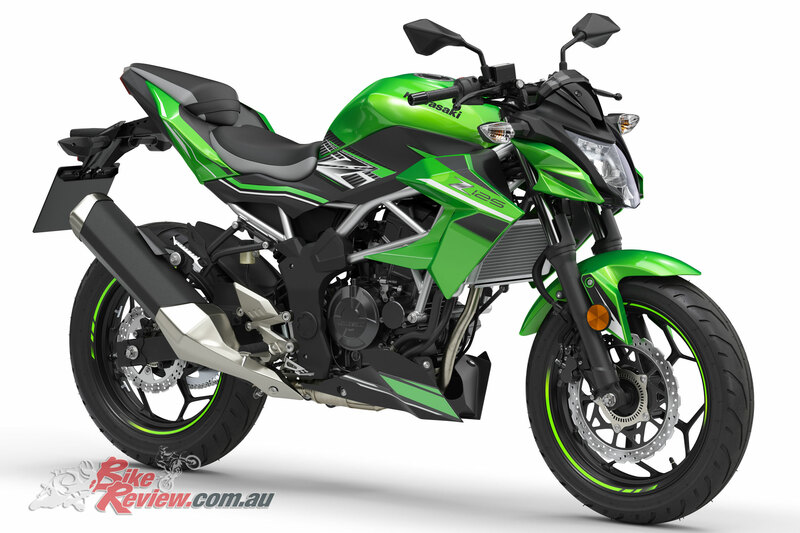 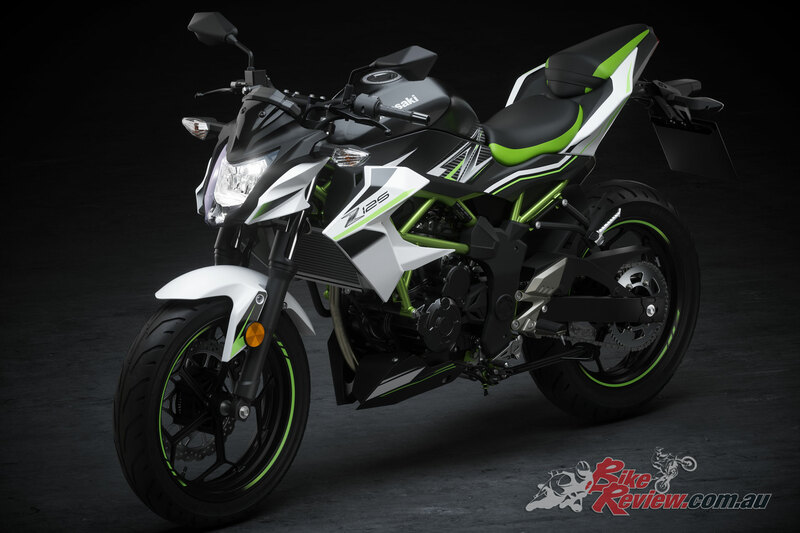 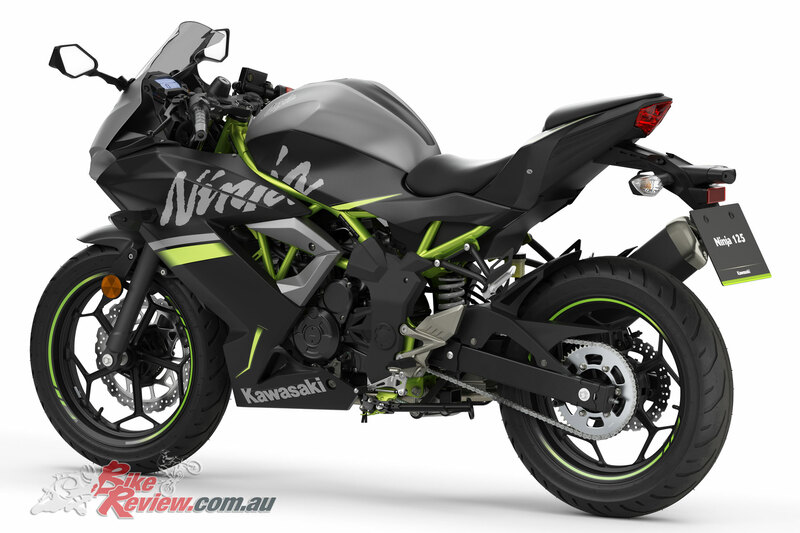 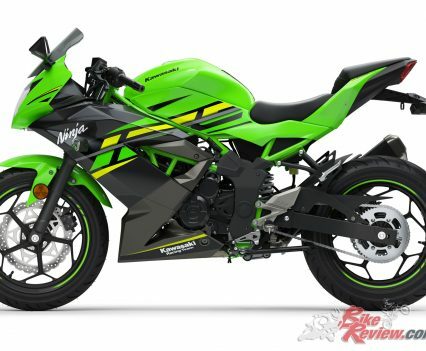 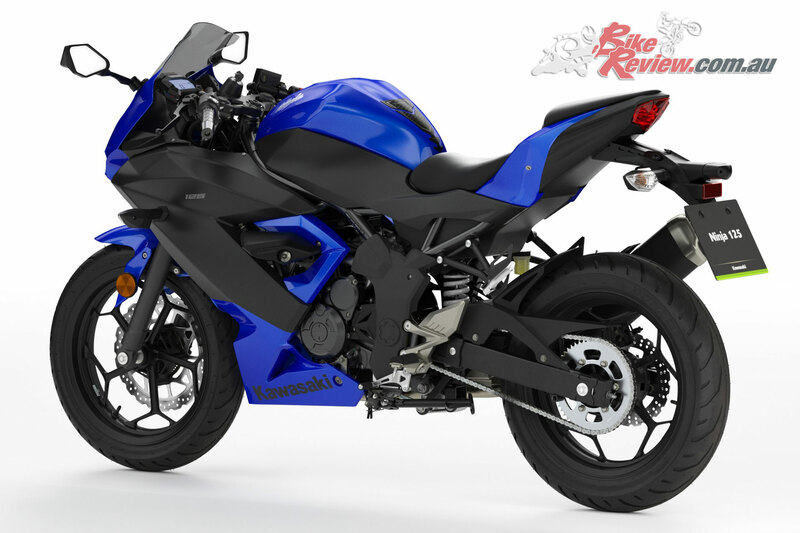 The Ninja 125 will be available in Lime Green/Ebony/Metallic Graphite Gray, Metallic Flat Spark Black/Metallic Matte Fusion Silver, Candy Plasma Blue/Metallic Flat Spark Black, subject to local market availability. 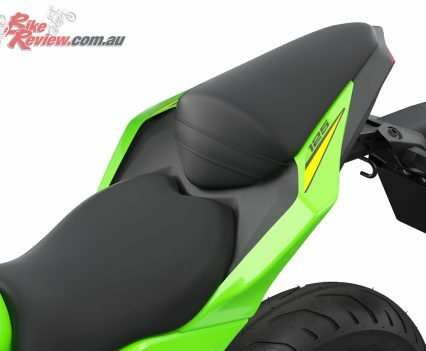 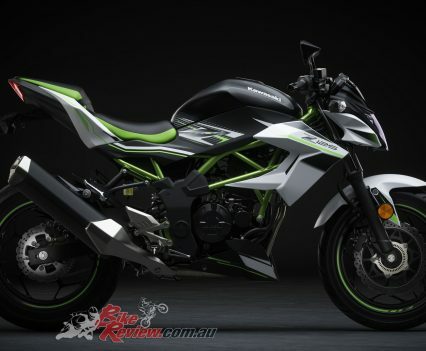 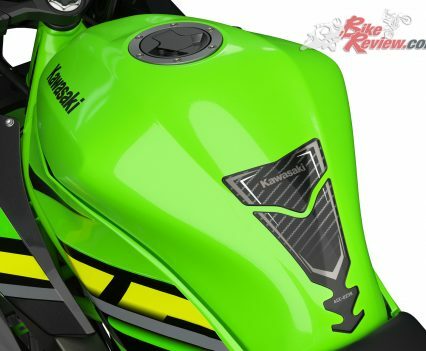 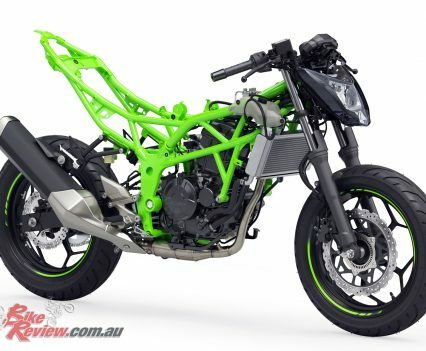 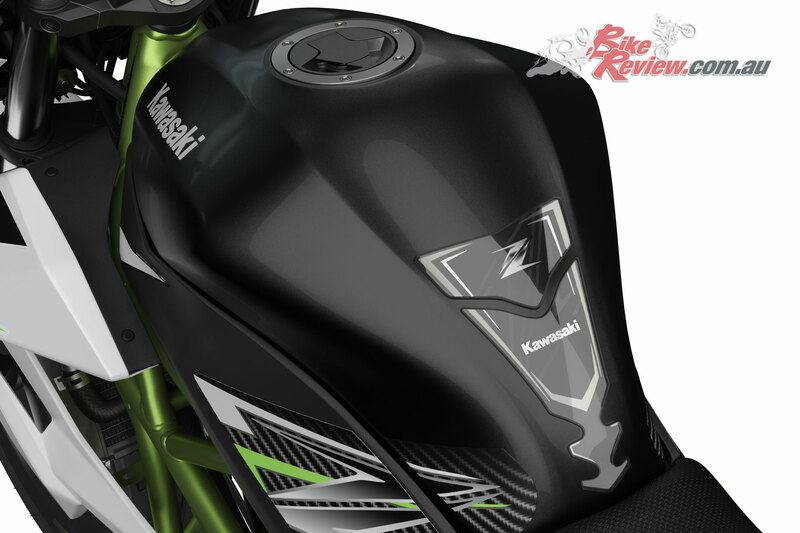 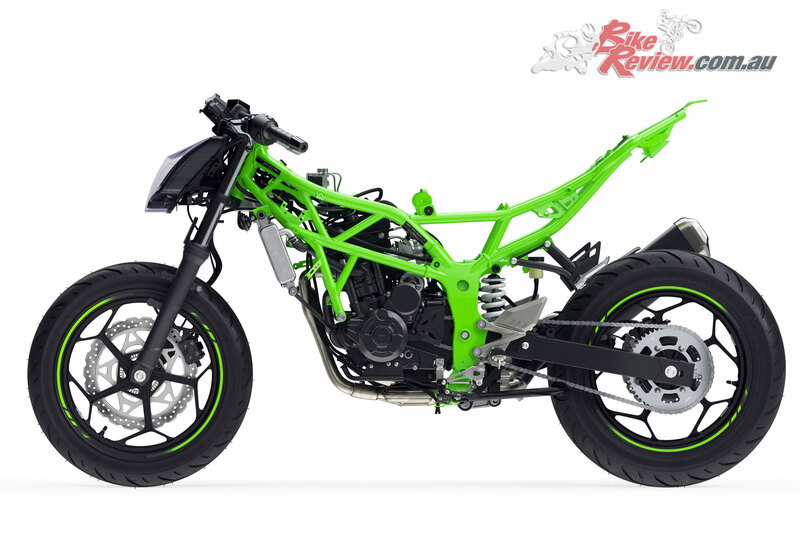 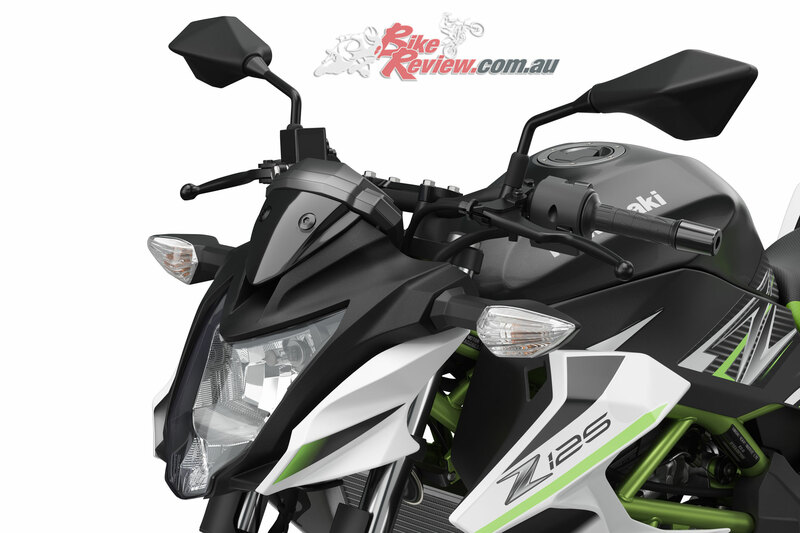 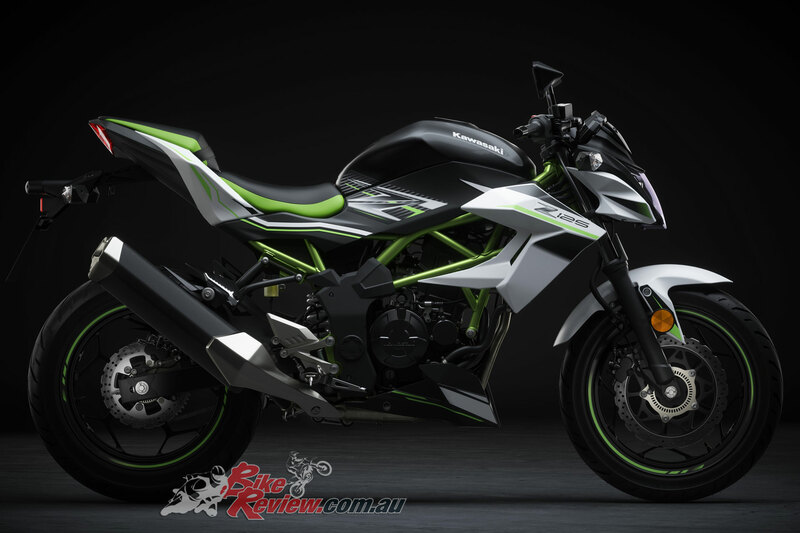 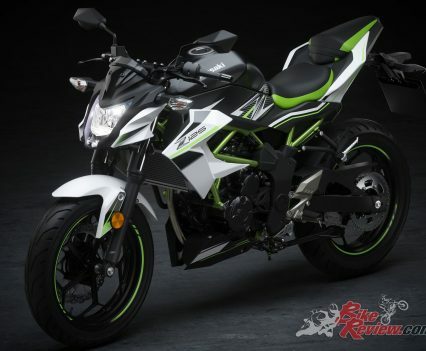 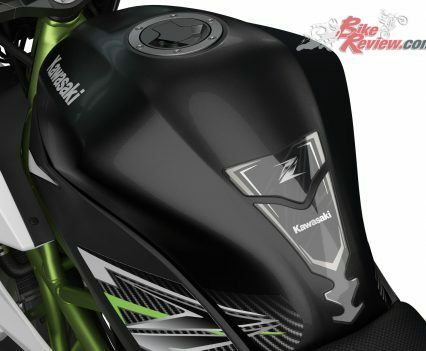 The Z125 will be available in Metallic Flat Spark Black/Pearl Flat Stardust White, Candy Lime Green/Metallic Flat Spark Black, Candy Plasma Blue/Metallic Spark Black, subject to local market availability. 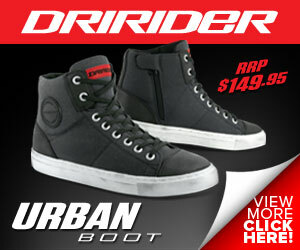 Australian availability yet to be announced.